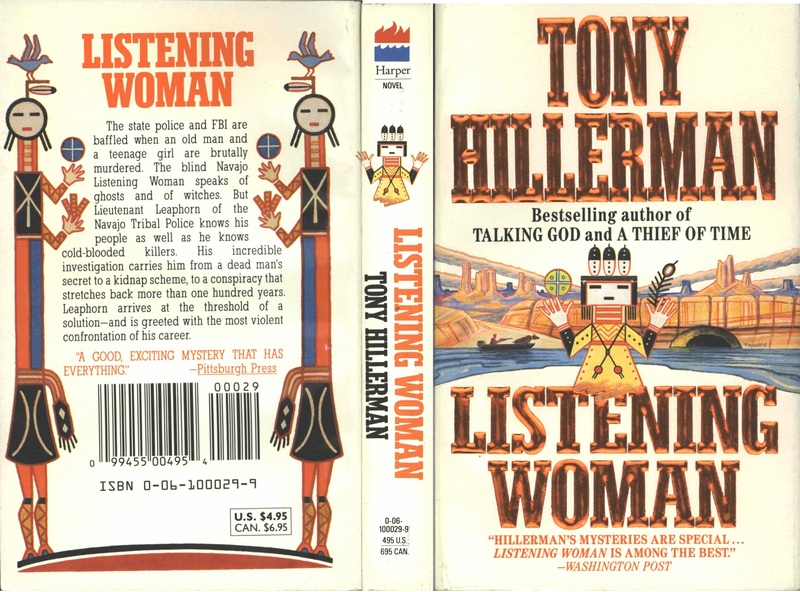 This is the full and detailed views of the HarperPaperback 1990 edition of Tony Hillerman's 1978 Listening Woman, the third novel in his Navajo Detective series. 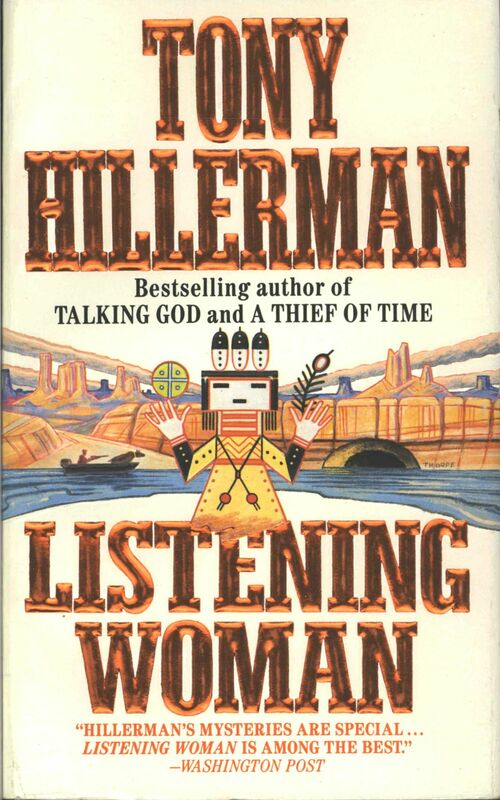 This edition was published by HarperCollins Publishers in New York City, New York. Design and Photography Credit: Cover design and illustration by Peter Thorpe.